Growing up in the Chicago area we had a lot of friends with Polish traditions. I always heard there are more people of Polish descent in the Chicago area than in Warsaw, Poland. So many of our holidays were punctuated by these delightful Polish Christmas cookies; Kolaczki. This recipe came from one of our family’s friends and Mom made these every Christmas for our family as well as for gifts. 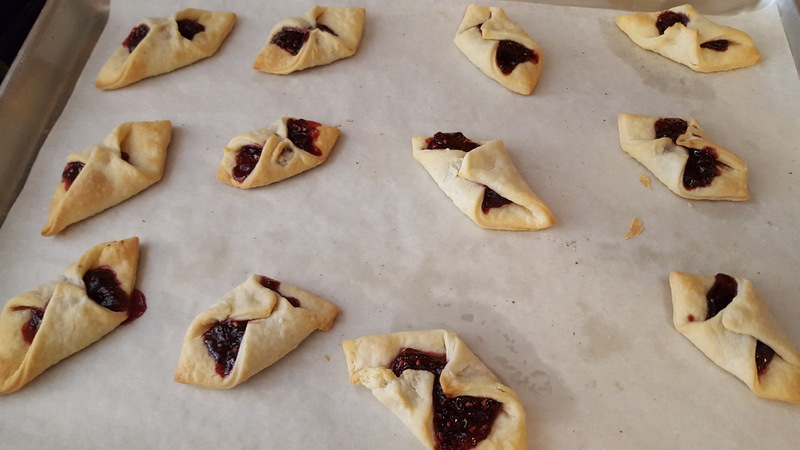 Recently I was introduced to another type of Kolache, a Czeck pastry more like a fruit filled danish and/or savory filled hot pocket with a tender pastry about the size of a filled doughnut. Delicious but not the Christmas cookie of my childhood. I decided to do some research and found there are almost as many spellings for Kolaczki as there are countries that make them. No matter how you spell it, a Kolaczki or Polish Christmas cookie is delicious! Pastry filling; apricot, prune, poppy seed, raspberry, cherry, etc. Preheat oven to 375F. Line baking sheets with parchment and set aside. Cream butter and cream cheese until fully incorporated scraping bowl at least once. 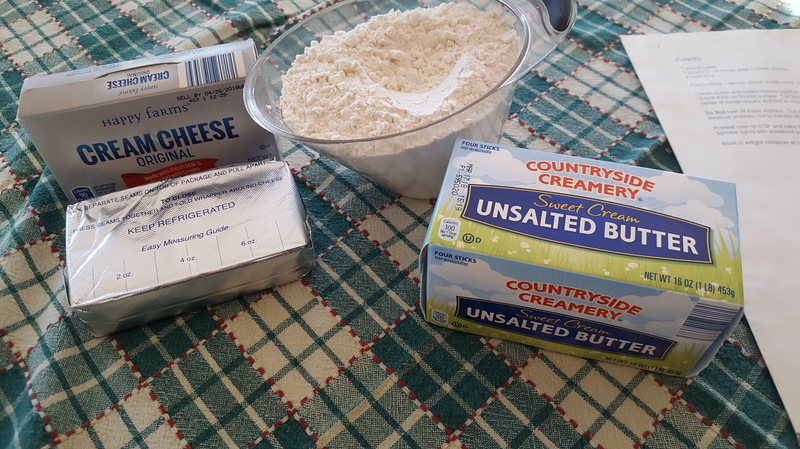 Gradually add flour mixing only enough to blend. Dough will be soft. Gather the dough into a single ball and cut into quarters. Wrap each quarter in plastic wrap and keep in refrigerator until ready to use. On floured surface, using one ball at a time, roll dough about 1/4 inch thick. Transfer squares to parchment lined baking sheets and place 1/2 teaspoon filling on center of dough square. Fold opposite corners together to meet in the center and press together tightly. DO NOT Overfill these cookies. Too much filling will run out during baking and be a clean-up problem not to mention the cookies will look messy. Bake in preheated 375F oven for 10 – 12 minutes or until light brown. Sprinkle lightly with confectioner’s sugar before serving. Store in airtight container at room temperature and low humidity for up to 2 weeks.